Have you ever had such a bad day that you couldn’t remember the activities that could make it better? Are you even aware of the activities that you do on a daily basis which allow you the energy to care for others in your life such as your family, friends and even your employer? On a daily basis, you should be doing something that evokes all of the senses of sight, smell, taste, hearing and touch. By doing this you are establishing routines that will help keep you centered and able to support others in your life. Taking time for self care often feels like a luxury that there is no time for in daily activities. The reality is self-care rituals and activities can easily become a part of our daily routines. Stretching before you get out of bed (this is the first thing animals do before getting up from a nap or sleep. Humans should do the same). Paying attention to your breathing. If you catch yourself sighing, slow down and slowly inhale and exhale for a few minutes. You will feel the difference immediately. Daily use of a shower gel and lotion that you enjoy. Aromatherapy can instantly change your mood. Dress in clothes and jewelry that make you happy. Listen to music on the way to work or while you are completing tasks. Exercise and move your body. Make time for sleep - our bodies need to heal from the day and most of us do not receive enough sleep. Sadly, most everyone goes through times where self-care becomes the first item to become neglected. During these times of caregiving and meeting deadlines it can become difficult to remember what is needed. A self-care toolbox is a place where you place a list of positive self-care routines and objects. This becomes your “go to” place on those days that are overwhelming and find it difficult to know what you need to do. Just as a pilot needs a checklist in case of emergency, this will become your own checklist for self care. It is important to note that this box will be unique to you and just as there is not one specific tool that does every task, there will not be one activity that works each time. Before creating your box, consider establishing a list of activities or reminders that have been beneficial to you in the past. Along with this list you will also want to include items that will assist you in completing the activity. A reminder to breathe. You may want to include a bottle of bubbles. Blowing bubbles forces you take a deep breath and is a fun experience that we do not often do in our daily lives. Drink water. Include a small bottle of water as this reminder. When we are stressed we often forget to drink and become dehydrated. Hydration is important in dealing with every day stressors. Call a friend (or two). Rather than simply state call a friend, list specific people. In an emergency you will always find a specific phone number. Enjoy a favorite scent. This can be in the form of a body lotion or a candle. Permission to color or play a game on your phone/computer. Research shows that a repetitive and enjoyable activity lowers blood pressure. Set a timer if you are worried about time. Reminder to take a walk and stretch. You may want to include a card with specific yoga moves that have helped you in the past. Simply getting out of the house and walking a short distance has also been proven to relieve stress. Listen to music. Create a playlist and remind yourself to listen to it. Write in a journal. You may want to include a small journal in the box. Include bubble bath as a reminder to take a warm bath. A gift card to your favorite coffee or ice cream store. Treat yourself. Place a few dark chocolate pieces (or your favorite candy bar) in your box as an immediate treat. Dark chocolate has been proven to improve your mood. 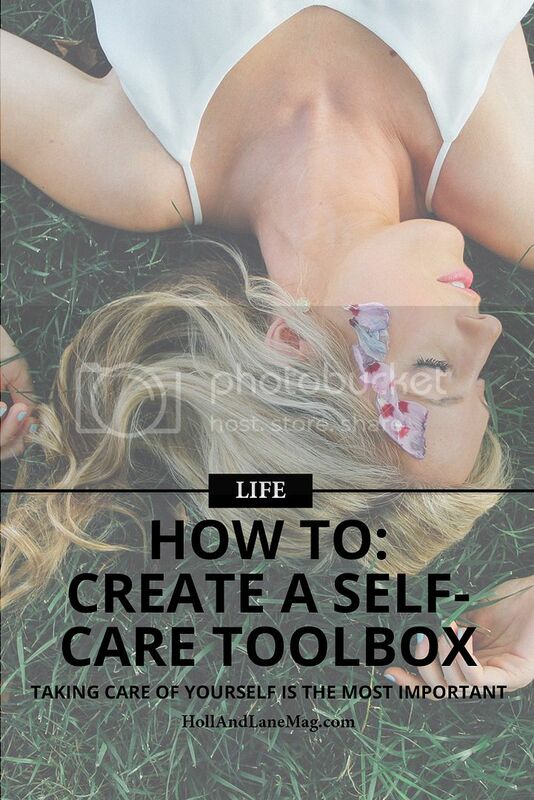 Creating the actual self care box will depend upon what you would like for yourself. If you are feeling creative, you may want to decorate a shoebox or other box in your favorite colors. It will be important that this is something you enjoy puling out in moments of feeling overwhelmed. Thus, take some time in planning and decorating. If you do not feel creative you can also pick out a beautiful hat or storage box to use from a craft store. How do you remind yourself to practice self care?